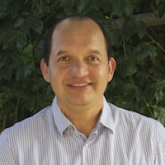 Dr. Alvaro Monge has earned BS, MS and PhD degrees in computer science (BS UC Riverside, 1991), (MS, and PhD from UC San Diego, 1993 and 1997). Previously at the University of Dayton Ohio, Dr. Monge joined the Computer Engineering and Computer Science Department at the California State University Long Beach (CSULB) in1999. In addition to overseeing grant projects, Dr. Monge held key positions as an academic advisor at the graduate and undergraduate levels and is currently the academic advisor for all computer science undergraduate students and for computer science students in the Engineering Honors Program. With the explosion of interest in Computer Science classes, we wanted to know how successful schools are making the transition to support ever-increasing numbers of students. We asked Dr. Alvaro Monge, Advisor for Computer Science Program at CSULB (California State University Long Beach), to share his thoughts and methods. In this 4-part blog series, Dr. Monge shares his techniques and strategies for successfully supporting both his school and his students in the growing field of CS education. It’s already clear to most schools that demand for CS learning is increasing; however the acceleration will vary from one school to another. Even if your school hasn’t yet experienced 2-3 times the demand for CS classes that CSULB has, keep a close eye out for these changes. As soon as you begin to see repetition of the same classes, or larger classrooms being required, you can essentially guarantee that this trend is going to continue in that direction. There are many techniques you can use to manage the growing demand, and I recommend starting sooner than later to adopt solutions. The sooner you get ahead of the growth, the more successfully your school, your staff and your students will manage the transition. Once we started to see how the enrollment growth was impacting our class offering we took two major steps: First, we hired adjunct staff to keep up with workloads, and to prevent our valuable staff from being over-worked. Secondly, we implemented technology to offload work and improve the student experience. In our case we implemented Vocareum LMS to remove some of the burden and repetition of teaching larger classes.